Lovely home with great ambiance. Adorable three bedrooms with two and a half baths, great oudoor shower, cape cod charm, hot tub, fireplace, and very comfortable. Oceanfront Beauty. 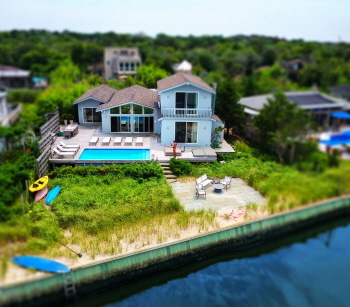 Come enjoy the beach in this spectacular beach house. 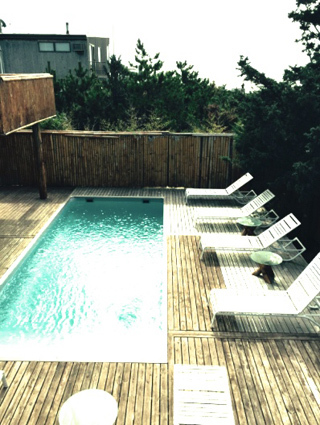 Live directly on the Atlantic Ocean. This recently renovated three bedroom house. Stunning living room with walls of glass onto the beach. Open gourmet kitchen. Huge master suite with commanding ocean views. Beautifully maintained home. 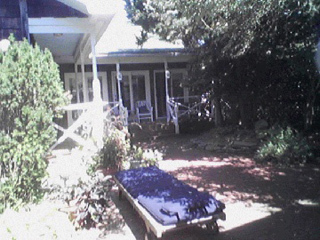 Three bedrooms plus a lovely cabana. Can be rented as a four bedroom or as a three bedroom. Spacious living area with open gourmet kitchen. Outdoor shower. Fully renovated. Private. This is a great share house. 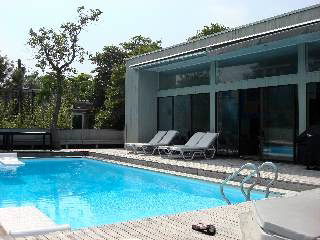 It has four large air conditioned bedrooms and four bathrooms. You walk up to a pool that gets sun all day. A beautiful living room with great open floor plan and newly remodeled kitchen. Separate deck that has an extra large hot tub. Multiple decks that surround the house and plenty of outdoor space that includes a large outdoor shower. 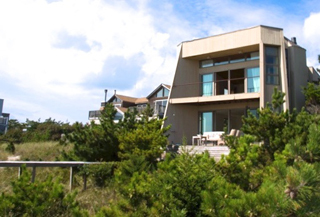 Classic Fire Island house by world-renowned architect Horace Gifford. 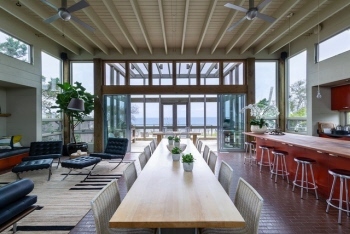 Stylish glass and wood box with ocean views. Renovated with new kitchen and new bathrooms. 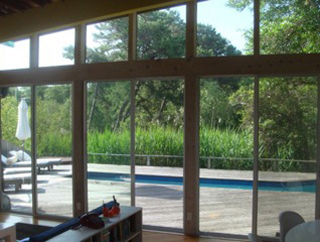 Bight and breezy second floor great room with fantastic ocean views. Three bedrooms with two new bathrooms are on the first floor. 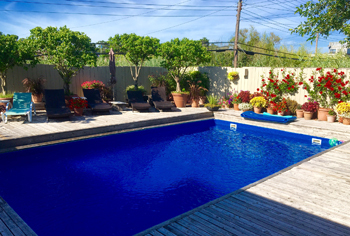 Private and sunny pool. Unique setting. 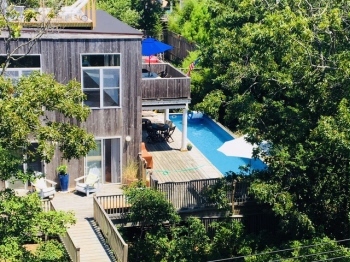 Classic Fire Island Architecture. Clean lines with lots of glass. New to the market. 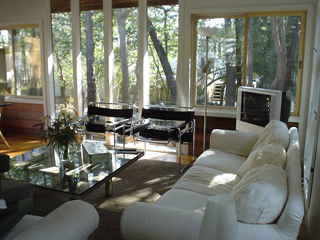 The large great room with high ceilings opens directly onto the deck with heated pool. Open kitchen. Nice master suite. Two additional big bedrooms share a second bathroom.